Top 5 Wedding Planners In NYC To Follow ! One of the hottest destinations for a romantic wedding is none other than the New York City. There are so many things that together makes it the best wedding destination but, the worth mentioning things are its iconic setting, classic backdrops, opulence and romantic aura. However, planning a wedding in the NYC is not that easy and you have to look for the best wedding planner in the New York City. We have listed the top 5 wedding planners of NYC for you. If you want to have the most renowned wedding and event planner of the world for your wedding then, you should definitely hire Marcy Blum. She is so innovative and creative that she crafts every event with her own uniqueness and elegance. The stylish soirees crafted by her attract keen flair that is completely unimaginable. Everyone is left astonished and breathless with her signature style and exuberance. Expert in events, entertainment and Imagineering experiences, David Tutera is one the prestigious name in the event design industry. 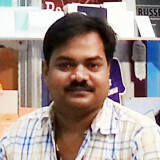 He has written various success stories in wedding and event designing. He is considered as one of the Top Wedding Planner in NYC and his art of crafting marriages is something to crave for. He leaves everyone with the most exotic experiences. If you really want to know what list Erganic design as one of the best Wedding Planner in the USA, you should know that the owner, Sojourner Auguste is Architecture by background. She is so skilled in event and wedding planning that she and her team is together known as ‘event architects’. Every design, pattern, decoration, floral arrangements, Wedding Invitation Cards and wedding details of these designers transform events into a memorable one. She is one of those rare and covert wedding planner in the USA who is preferred by a lot of celebrities. The reason for her popularity is the fact that she always comes up with completely new and amazing wedding ideas, wedding decor and a lot more. Her events and parties speak up for her work, creativity and innovation. She is the best wedding and event planner among the high-profile planners. For the high profile celebrities and various other major companies, Preston Bailey is organizing events and wedding from a very long time. Every single occasion and event organized by him are so mind-blowing and astonishing that he is considered as the best Wedding Planner in New York City. He has his own personal blog for wedding and events that are the best information site for everyone. ← How to save money on wedding invitation cards? My sister’s wedding is about to happen and I am stumbling over wedding planners. This post really helped to know one of the best. Thanks!! Thanks for the useful Post! They all seems to be famous and good. I am totally agree with you and appreciate your idea to include these wedding planners. It will be surely beneficial for people who search for wedding planner in NYC. Thanks for share your ideas.